Europa Report follows a contemporary mission to Jupiter’s moon Europa to investigate the possible existence of alien life within our solar system. When unmanned probes suggest that a hidden ocean could exist beneath Europa’s icy surface and may contain single-celled life, Europa Ventures, a privately funded space exploration company, sends six of the best astronauts from around the world to confirm the data and explore the revolutionary discoveries that may lie in the Europan ocean. After a near-catastrophic technical failure that leads to loss of communication with Earth and the tragic death of a crew member, the surviving astronauts must overcome the psychological and physical toll of deep space travel, and survive a discovery on Europa more profound than they had ever imagined. 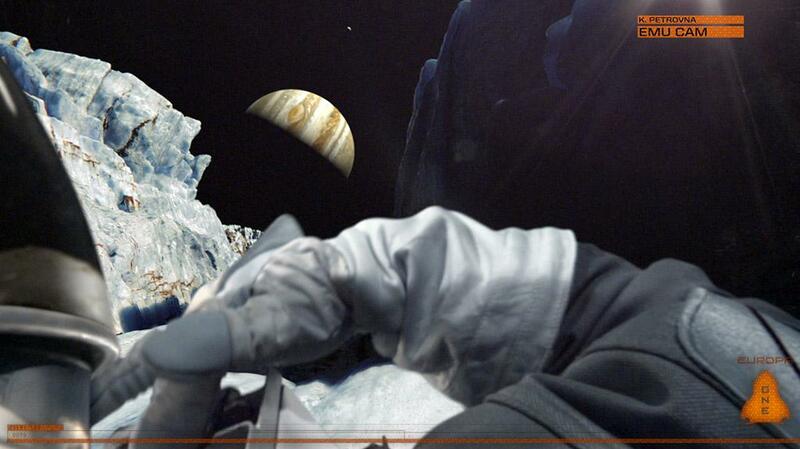 In collaboration with NASA JPL scientists, Europa Report was developed using hard science and data as the foundation for the script and did not have a big Hollywood budget. Therefore, the film is completely absent of laser cannons, warp speed drives or the obligatory scrappy anti-hero who delivers quips for comic relief. It is important that you know this before watching the film, because I venture to guess that some people will be disappointed if their expectations are not properly managed beforehand. The film takes on a quasi-documentary feel that incorporates faux news footage from press conferences, testimony from representatives of Europa Ventures, the crew and internal / external spacecraft / spacesuit cameras, in order to provide context. This device (and the editing) provide for brilliant storytelling, because the viewer is left wondering about the fate of the mission and its crew all the way up to the final moments of the film. In the movie, the world is glued to the mission footage for 6 months due to the fact that it is the farthest man has ever traveled into deep space…until one day all communication is lost. In fact, the scene is which an attempt is made to repair communication, provided a particularly terrifying and heart-stopping moment of the film. 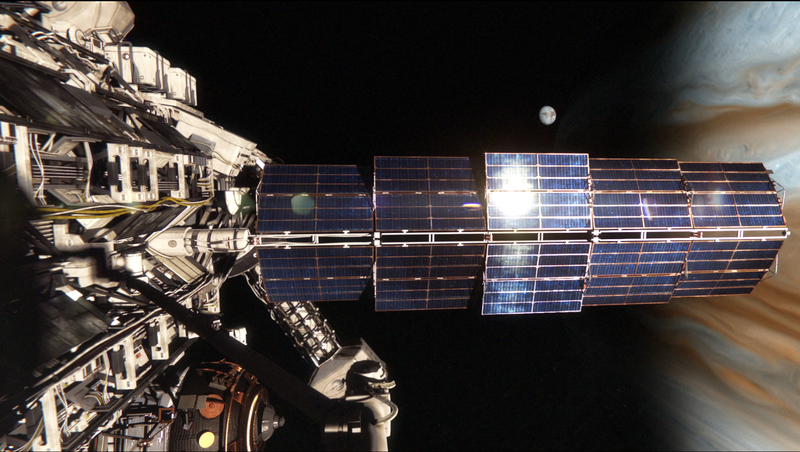 Although much of the film is based on known science and our understanding of the challenges that humans would encounter during deep space travel, there is also a speculative aspect of science fiction that underlies the entire second half of Europa Report. For a film that would be classified as “low budget,” the visuals in Europa Report are absolutely stunning, especially relating to the footage provided by the spacecraft’s external cameras and that of the crew’s suit cameras. They are so reminiscent of actual hi-res footage that I have seen while watching ISS missions on the NASA channel, that I was never quite sure if I was looking at actual film that may have been returned from unmanned probes sent into deep space. Because the film is based mostly in reality and science, it may feel slow paced to some people because there are rarely moments in which a driving soundtrack is used to denote drama or danger, at least not in the traditional sense that we have grown accustomed to in science fiction movies. Instead, the film can feel isolating, desolate at times and almost claustrophobic. For me, this added to the story significantly. Also, without giving too much away, you feel as though the conversations and decisions of the crew ring absolutely true when it comes to how actual astronauts and scientists might behave when presented with a similar opportunity to venture further than any human has gone and the sacrifices that they might be willing to make for the promise of scientific discovery. All of this is superbly complimented (in my opinion) by the innovative and creative editing that is used to tell the story and make it feel real to the viewer. If people go into the movie thinking that they are going to see a formulaic action-packed sci-fi thriller, I think that many will have mixed feelings about the film. It is absolutely a thriller, however as I said previously, managing expectations is important going in. Personally, I was glued to the screen and immediately jumped in front of a computer to write this review after I saw it. This is essentially an indie film that, although it was released in limited theaters nationwide on August 2nd, it is currently available on VOD right now. It also does not have any recognizable stars (save for Sharlto Copley, District 9, Elisium). What is does have is a tremendously compelling story, stunning visuals and an excellent cast. I happily recommend it to any of my fellow science geeks out there. What did you think of the film? Add your comments and questions below!